TT: Where did the idea for the anthology originate, and what steps did it go through to achieve realization? 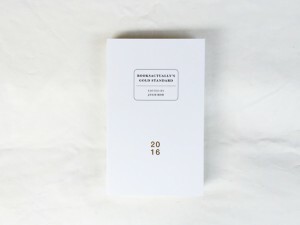 JK: BooksActually’s Gold Standard was inspired not just by the Best American Poetry controversy but also my own failed attempt to get an anthology of fiction by local and international Asian writers published in Australia. I was told that the anthology would be too niche to be sustainable. I mentioned this to Kenny Leck at BooksActually in Singapore, and he suggested I could edit an anthology for his publishing house, Math Paper Press, and that it could be on any theme I liked. I asked, “Has anyone done a global ‘best of Asian fiction’ anthology before?” That’s how the idea came into being. Over the course of several months, I read as much fiction as I could by people of East and Southeast Asian heritage. As I read, I drew up a spreadsheet and wrote notes on the writers whose work I’d considered. Then I sent invitations out to writers and agents. I decided that this anthology should focus on cult writing because I came at this anthology from a relatively anti-establishment point of view. And the definition of “cult” I set out with was “odd and experimental.” Kyoko Yoshida, Tom Cho, Linh Dinh, and Joe Milan Jr. would be the writers from the anthology that fall into this category. As I read more fiction by potential contributors, however, I decided that “cult” should also include writers with a strong, original approach to realist subjects—writers who are perhaps incredible storytellers or break new ground in terms of subject matter, like Eliza Vitri Handayani, Balli Kaur Jaswal, and Jing-Jing Lee. Laksmi Pamuntjak’s piece, the longest in the anthology, is realist but virtuosic in its exposition—I’ve never read another writer like her. A few contributors fascinated me because they move seamlessly across genres and forms. For instance, I’d read your fantasy novel, The Oddfits, then was amazed to find you’d also written a novel manuscript of realist literary fiction, on which your contribution is based. Another contributor, Cyril Wong, is a Singapore Literature Prize-winning poet, but also fiction writer and critic. And I first came to the fiction of Matthew Salesses through his online essays about race. TT: You mention that your selections as an editor may have been skewed toward “western styles” of writing because you were born and have lived in Australia your whole life. At the same time, the raison d’être behind the Gold Standard is to shift the power of representation and curation away from the West. As someone who is Asian but also “Western,” did you have difficulty reconciling the anthology’s aims with your own “Westernness”? Arguably, you’re yet another Westerner curating Asian voices. JK: I fully acknowledge that my taste is extremely Western and that it has skewed the curation of the anthology. I was aware of this going into the endeavor. To my knowledge, however, no one in the world was creating an anthology like this, so I just went ahead and did it. Our team had to start somewhere, and we’re at least moving one step forward, even if it isn’t a giant leap with a perfectly executed triple twist. Hopefully it will grow into something more diverse, more inclusive, and even more interesting than it already is. Once the anthology is off its training wheels, I intend to ask other writers to guest edit, including ones based in Asia. That said, I did ask contacts in Asia to provide me with shortlists of writers they thought I should consider. So although my ultimate selections were probably extremely Western and, as with every editor, in line with my own taste, some selections were drawn from these shortlists. For instance, I had limited knowledge of the scene in the Philippines, so asked the writer Karlo Antonio Galay-David to nominate some writers who might fit the bill, and that’s how I found John Bengan. When it came to Indonesia, I knew you were a translator of Indonesian literature, so I asked you to suggest some writers you admired. Kenny also helped me out by suggesting writers throughout Asia. So the selection of writers was skewed even more by the connections that Kenny and I already had. Only a few writers in the anthology accepted our cold call invitations—most are direct connections of ours, or connections of our connections. We’re happy to be completely transparent about this. It’s a consequence of this first edition being an “all-stars” invitation-only deal. Furthermore, even though it’s a “best of” anthology, it’s a “best of” according to BooksActually—we would never claim that any such anthology could genuinely claim to feature “the best” in any universal sense, since fiction is so subjective. I also had to keep my “Westernness” in check during the editorial process, especially when it came to asking writers to cut material. Sometimes it was justified and at other times, particularly when discussing my suggestions with translators, I realized it was just the result of a Western preference for concision. TT: How many pieces in the anthology are in translation? How did the editing process for works in translation differ from the editing process for works originally written in English? JK: Nearly half of the nineteen pieces are in translation: work by Taiwanese writers Chang Ching-Hung and Wu I-Wei, Dorothy Tse from Hong Kong, Chinese writers A Yi and Tang Keyang, and Indonesian writers Avianti Armand and Ahmad Tohari. In comparison to the more straightforward task of editing work originally written in English, editing these seven pieces was a whole new ball game. One thing I discovered was that translators have very different approaches to the editing process, ranging from how closely they think they should work with the author, down to how they expect mark-ups to appear in Word documents. I think an editor has to have a lot of trust in a translator to interpret the relevant piece in a way that is as near as possible in tone and style to the equivalent in the language in which the piece was originally written. We have, I think, some very idiosyncratic writers in the anthology, so I had to trust that our translators preserved those idiosyncrasies. Sometimes odd phrasing or vagueness is not actually a quirk of the translation but deliberately odd or vague in the original language too. I was more careful in editing the works in translation—when suggesting a different turn of phrase, I was aware it might change the tone of the sentence in the original work, and that the translator would have to take this into account when deciding whether to accept or reject the edit. I was ultimately more confident with my editorial approach to a translation where the writer him or herself also had the English language skills to answer editorial questions directly and approve the final English version. But of course this wasn’t always possible, so I had to trust that the translator had the necessary conversations with the author to ensure the translation was as accurate as possible in reflecting the author’s intentions. TT: Was including pieces not originally written in English important to you? JK: Absolutely. I’m interested in broadening my ideas about literature and my expectations about the way stories can be written. So, in a way, it was merely selfishness on my part as a reader—putting myself in a position where I could command translators to deliver pieces by writers I wanted to read more of. For instance, it was a real coup for me that A Yi was happy to contribute a piece to the Gold Standard. I’d read his novel A Perfect Crime and wanted to read more. The same with Wu I-Wei and Chang Ching-Hung—I’d seen bits and pieces of their work online but craved more. I hope to see more of their work translated into English in the future. And Avianti Armand’s “Once upon a Time There was Mother and Radian” is a complete revelation. I don’t know why it hasn’t been translated before. I’ve only just started to scratch the surface with this anthology: there is so much incredible work that the English-speaking world has never read. 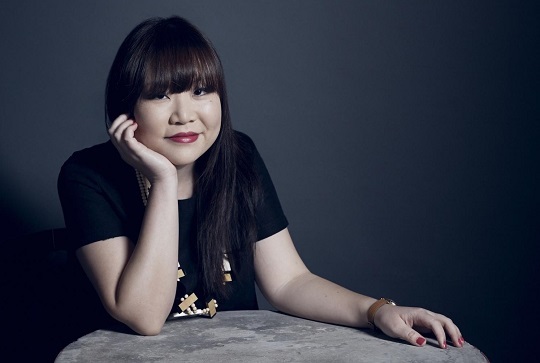 TT: You’re an Asian-Australian fiction writer whose work has been very well received on the Australian literary scene. Among your accomplishments, you’ve been featured in The Best Australian Stories for 2014, 2015, and 2016, and your second short-story collection Portable Curiosities (University of Queensland Press) has been shortlisted for a number of Australian awards. Your work has also appeared in Asian literary venues. One of your stories was featured in the anthology HEAT by the Malaysian publisher Fixi Novo, and a new edition of your debut story collection Capital Misfits has just been published by Math Paper Press, alongside The Gold Standard 2016. And, of course, there’s this anthology. Have there been any differences between working with publishers in Australia and those in Asia? JK: There have been fascinating differences between the approaches of indie publishers in Australia and those in Southeast Asia. I think there’s much more room for experimentation in Southeast Asia. The indie publishers I know seem to have a more entrepreneurial approach. In Malaysia, for instance, there’s the publisher Buku Fixi (and its English-language imprint Fixi Novo). And like BooksActually’s publishing house, Math Paper Press, in Singapore, Buku Fixi is exceptionally good at social media and marketing. Both Buku Fixi and Math Paper Press have built extremely strong communities around their brands, and these communities are interested in the new books each house puts out, not necessarily because they’re followers of the writers themselves but because they are interested in the exploits of the team behind the brand. Interestingly enough, both Buku Fixi and Math Paper Press are linked to their own brick-and-mortar bookstores, which is not a model you see in Australia. And perhaps this accounts for their entrepreneurial dynamism. They do a lot to nurture their local literary scenes. Also, both houses have very distinctive design aesthetics—a style that is uniform across their books that helps build the publishers’ identity as a brand. Australia has a much more established, professionalized literary scene and a strong literary culture; however, there isn’t as much room to experiment with publishing ideas because the money often isn’t there. Sales can be poor, and government funding for literary fiction is in dire straits, so indie publishers relying on grants have limited output and fewer opportunities to take risks. BooksActually has just put out book vending machines this year: I can’t see something like this happening in Australia unless philanthropists get involved. TT: What are your hopes for the anthology? What response do you hope to elicit from readers, and what do you hope to accomplish? JK: I hope the Gold Standard makes people proud of fiction by Asian writers, including writing that defies stereotypical expectations of what “Asian writing” is and can be. I also hope the anthology fosters more dialogue between Asia-based writers and writers from the diaspora. As the anthology grows, we hope to expand the team behind the Gold Standard and open it to submissions. We’d like to include writers from countries we missed this time around, including Thailand and East Timor, and more writers from Korea. We want the anthology to contribute in a meaningful way to the development of Singapore and Southeast Asia as a space at the center, rather than at the fringes, of world publishing. I hope the anthology introduces readers to writers who are unfamiliar to them. And I hope it helps readers understand the incredible diversity of “Asian” writing. By pigeonholing writers by race, the anthology demonstrates they cannot be pigeonholed. It’s important for me that the anthology continues to showcase a wide variety of styles, and not to fall into the trap of promoting one flatpack style of “Asian” writing. I’ve picked many writers this year whose work is nothing like mine. No one ever likes everything in an anthology. But if I can introduce each reader to one writer with whom they fall in love, and whose work they then continue to follow, I’d consider that a worthwhile outcome. Julie Koh is an Asian-Australian fiction writer. She studied politics and law at the University of Sydney, then quit a career in corporate law to pursue writing. Her short stories have appeared in numerous venues, including The Best Australian Stories for 2014, 2015, and 2016, The Sleepers Almanac, The Lifted Brow, and Fixi Novo’s HEAT. Her short-story collection Portable Curiosities (Queensland University Press) was nominated for multiple awards in Australia and a new edition of her first short-story collection Capital Misfits is now available from BooksActually’s Math Paper Press. Tiffany Tsao is Asymptote’s Indonesia Editor-at-Large. She received a PhD in English from UC Berkeley in 2009 and now works as a full-time writer and literary translator. Her fiction, essays, and translations have been published in LONTAR, The Sydney Review of Books, Asymptote, and Comparative Literature, among others. Her debut novel The Oddfits (AmazonCrossing) was published in 2016.